Cupcakes are at the height of fashion in the city. It's the perfect time to expand your business. Even though at the moment you only have one small Bakery, the dedication and the level of creativity of your employees means that there are no limits to your ambition.Your task will be no piece of cake since your competitors share your same goals and they are not going to make it easy for you. 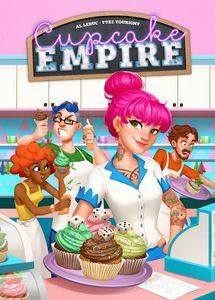 Only those who work the most efficiently and effectively will manage to build their own cupcake empire.